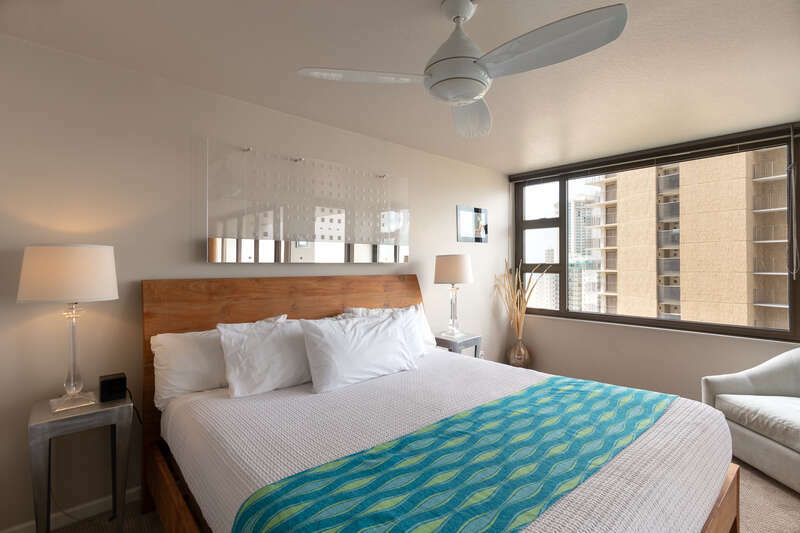 This condo has the perfect sleeping arrangements for a group or family, and is only one block from world famous Waikiki Beach. What a perfect location for you to get away, relax and enjoy paradise! 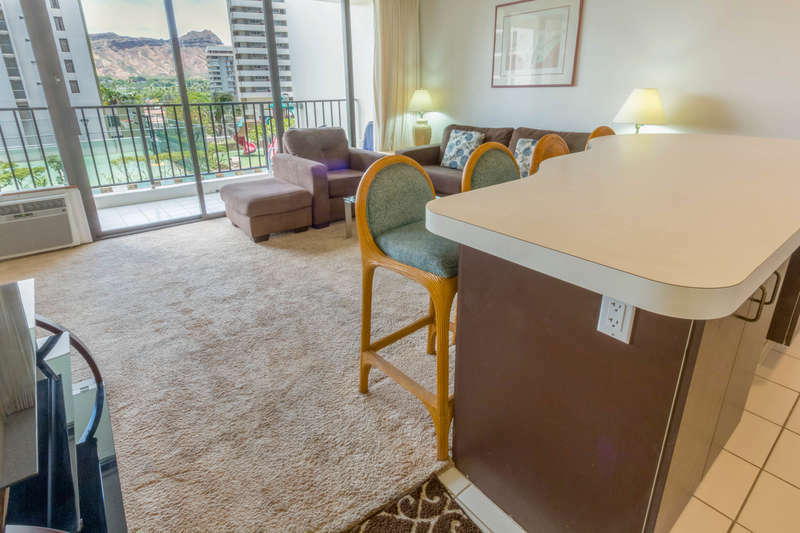 1212-1 is stocked with the comforts of home at an affordable price. 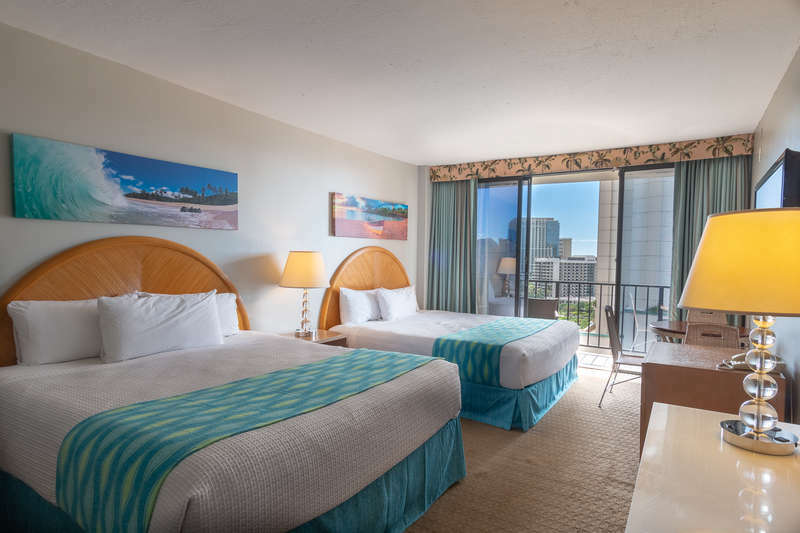 Plus, check out the recreation deck before heading down for some fun on the tennis court, grilling, swimming in the pool, soaking in a Jacuzzi, or the sauna. Enjoy a fully equipped kitchen which includes refrigerator, range, microwave, rice maker, coffee maker, and other kitchen wares. There are two queen beds in the bedroom and a pull out sofa sleeper in the living room. The kitchen table seats four people. There is a couch to lie on and watch the flat screen TV. There is no need to worry about where to park as we also include FREE covered PARKING for our guests! If you use the bus, the stop is right next to the building.